San Clemente, CA – With great excitement, Molecule partners with Troy Lee Designs team of athletes. Kicking off with the highly anticipated A1 round of the 2018 Supercross season, Molecule will supply the team with all their cleaning needs. Southern California neighbors, Troy Lee Design stores started carrying Molecule product mid-summer 2017. With the official supplier program, the Molecule brand looks to solidify its position in the two-wheel market with its renowned performance apparel care, helmet care line and bike cleaners. 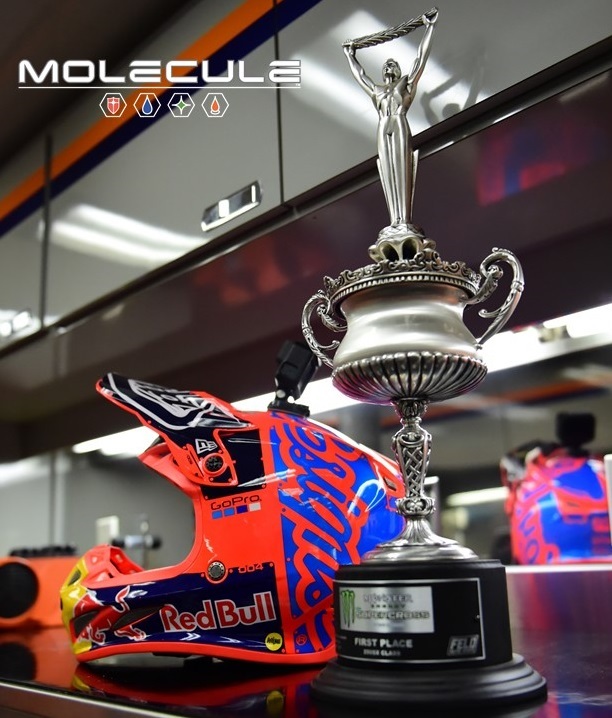 “We are sticklers for the details here at TLD, so to have such a great partner like Molecule part of our Team to make sure everything from our Team transporter to our athlete’s helmets really stand out is just awesome. Personally I can’t wait to see how cool our helmets look under the lights at A1 this weekend with the help of Molecule cleaning products!” stated Troy Lee. The official supplier program is set to support TLD Pro Moto Team along with support of TLD bike athletes and the amateurs. Catch the Molecule crew hanging with the TLD Team at Supercross, Outdoor and bike events everywhere.